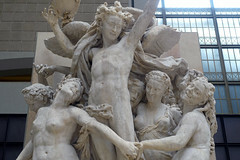 Jean-Baptiste Carpeaux​, Dance, 1865-69, marble, 420 x 298 cm. 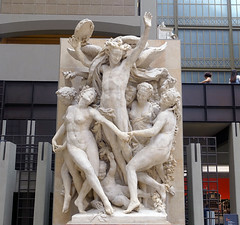 (Musée d’Orsay, Paris). 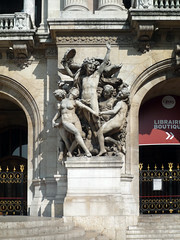 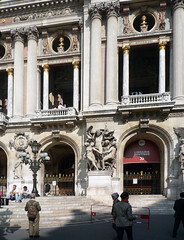 Commissioned by Charles Garnier for the facade of L’Opéra. 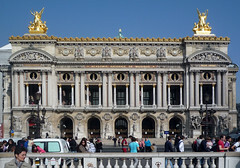 In 1964 it was replaced by a copy executed by Paul Belmondo. 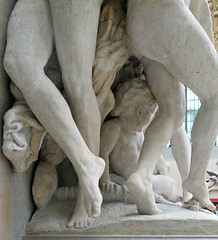 Cite this page as: Dr. Beth Harris and Dr. Steven Zucker, "Jean-Baptiste Carpeaux​, Dance," in Smarthistory, November 20, 2015, accessed April 19, 2019, https://smarthistory.org/jean-baptiste-carpeaux-dance/.